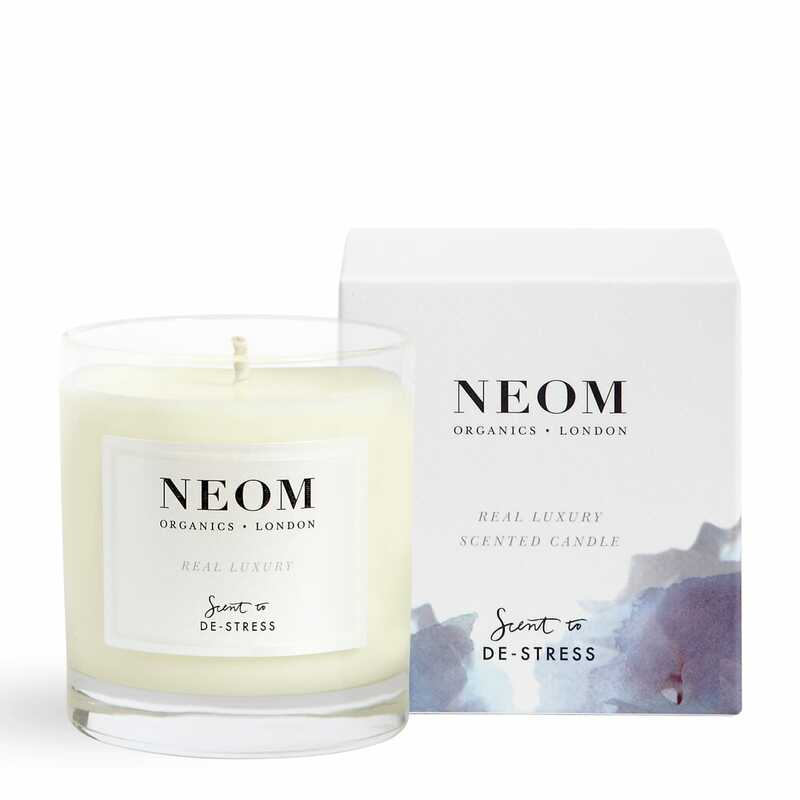 Real Luxury is the 'scent to de-stress' by Neom Organics. This 1 wick scented candle features notes of Lavender, jasmine & Brazilian rosewood. The Fragrance: Cashmere blankets and the flutter of the fireside warmth. A precious moment of utter luxury. Burn for a minimum of two hours and a maximum of 4. This will ensure the wax burns evenly. Never leave a burning candle unattended. Keep out of reach of children and pets. Always leave at least 10 cm between candles. Do not burn on or near anything that can catch fire. Trim wick to about 1 cm before lighting. Always extinguish the candle and do not relight when the wax level is less than 1 cm.